Headquartered in Philadelphia for over 20 years, La Colombe set the precedent for America’s artisanal coffee revolution for both the in-café and at-home experience with their proprietary, globally sourced blends. 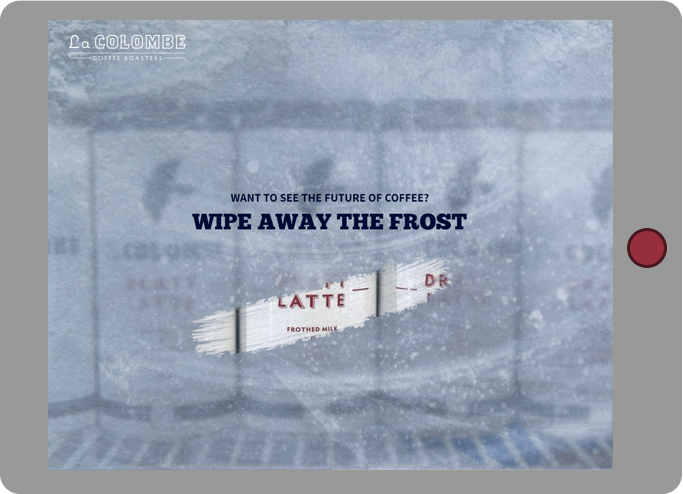 La Colombe required a digital commerce experience that elevated their online presence to be on par with their product. Coffee and digital experience may seem at odds. To spread La Colombe’s wings (as its namesake is a dove), we knew their flavor-packed coffee could have a much larger reach than their boutique cafes. That’s where we came in. We designed and developed an ecommerce experience to bring the beans into many more American homes. 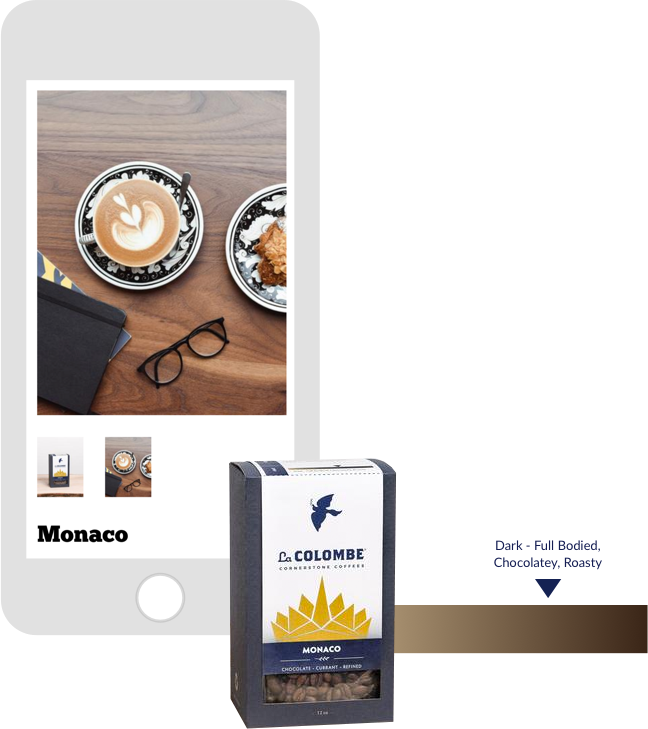 Since 2014, we have led La Colombe’s ecommerce strategy, from new product launches to increasing their online customer base to developing tech solutions for their digital business. 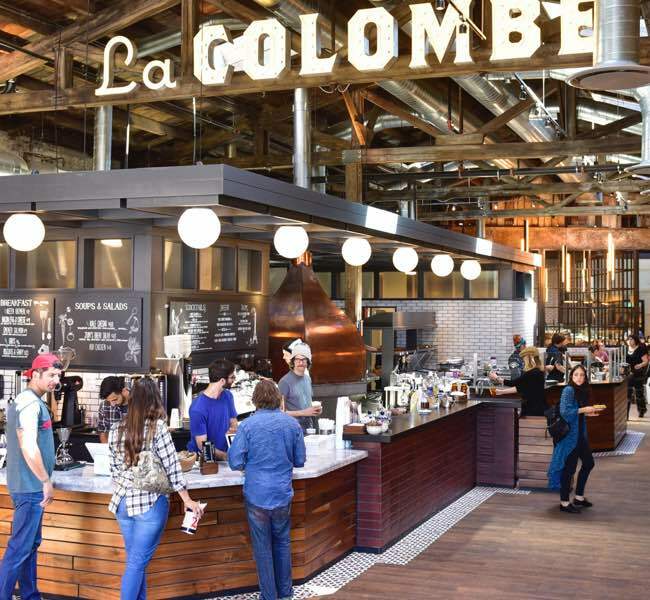 La Colombe’s own brand experience is a strong one. We needed to adapt that into the digital space with precision and consistency. In order to do so, we needed to develop an ecommerce solution that reflected the rich, diverse nature of the La Colombe product and store experience with a focus on driving sales. As La Colombe rolled out new coffee products, campaigns, and in-store initiatives, we needed to be there to bring those experiences to the digital world and make them echo the qualities of La Colombe’s coffee advocates: value, sustainability and most of all, quality. To create and manage the digital demand for our client, we had to build out a technology solution that could keep up, especially as business would grow. We realized we would have to stretch Shopify’s existing platform and customize it to keep those roasted beans fresh as they rushed out the door. O3 takes a hands-on approach when developing consumer experiences. To meet our goals with La Colombe, we developed a close working relationship, making it a point to meet in their coffee shop next to our own offices. The best path to learning about La Colombe as a brand and an operation was to spend time in their cafés, drink lots of coffee and talk to their staff, from the roasters to the brewers. From there, we worked closely with their marketing team to plan, design and develop their ecommerce platform for their coffee and new product launches. It’s not just La Colombe’s brew that has customers coming back for more. It’s their cafe vibe. How could we replicate that online? We spent a lot of time in-store soaking up the experience, and then used our digital expertise to translate that into the online space. It was vital to extend La Colombe’s world into the virtual one. While we can’t yet stream the aroma of freshly roasted beans through the screen, La Colombe’s smells aren’t its only memorable experiences. We replicated its bold and inviting brand experience into a similar UX/UI design, to make the entire digital shopping experience feel as sensorial and human. Coffee is personal, from how and when you drink it, so our UX was designed to focus on simplifying the process of browsing to buying, keeping customers coming back for more. 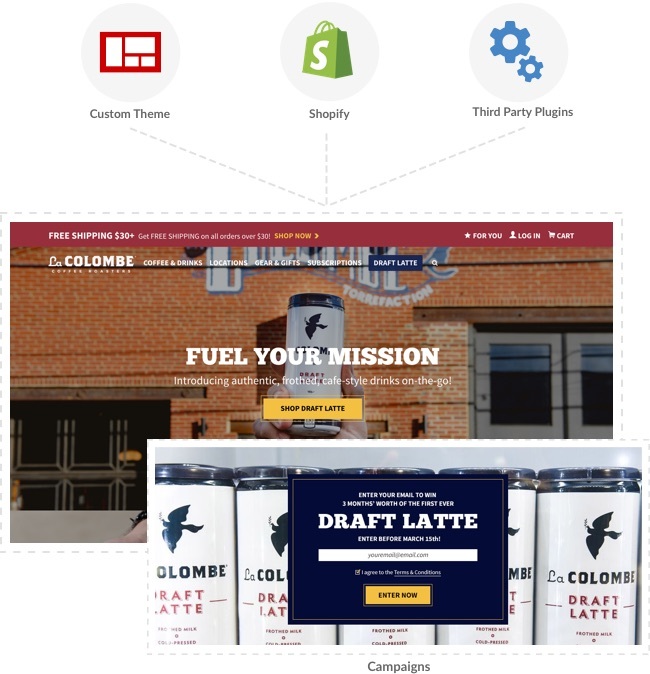 It was necessary to customize La Colombe’s pre-existing site to handle its digital business. We outfitted its Shopify platform with customized themes and plugins, and built in campaign functionality focused on engaging and retaining customers. We also built it out so that in-house staff could manage and make complex updates without diminishing the brand experience. Coffee drinking is a habitual experience. Coffee customers require a specific user experience where they visit often and order with regularity. 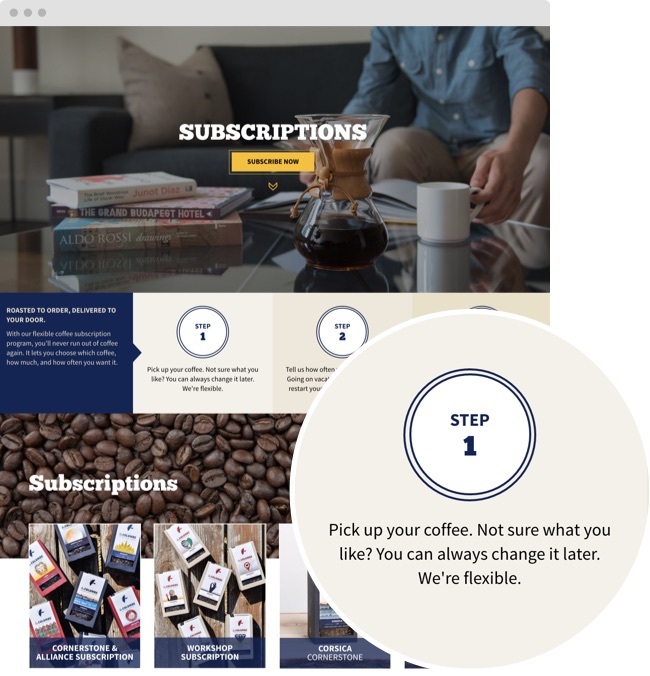 So, with some snappy integrations with various services, we developed an online Subscription Program that allows users to choose the coffee type, amount, and schedule with which they prefer to get their coffee. The program handles both personal or corporate order loads, so the coffee maker never runs dry. La Colombe is known for continually innovating in the market. 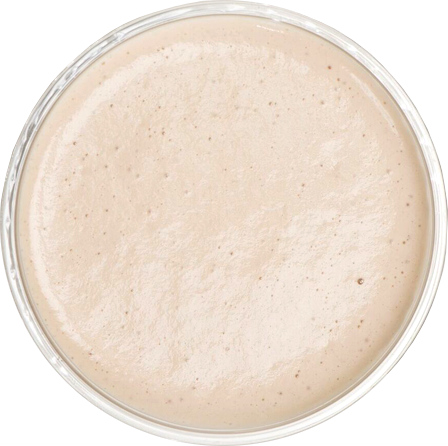 Their most recent concept, Draft Latte, has taken the coffee world by storm with it’s heavy layer of foam and delicious taste. To promote the product, we rolled out an equally delicious microsite. From the wipe away, frothy intro to each little product detail, the digital experience is just as delectable as the product it promotes. As with all our projects, we continually test and refine the site through a combination of data analysis and user research. 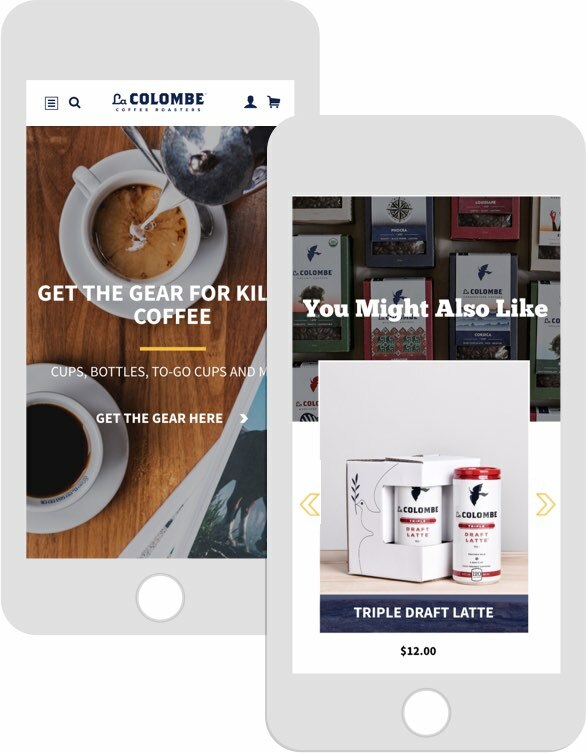 For La Colombe, we A/B tested various pages, components and messaging in order to optimize the purchase funnel. 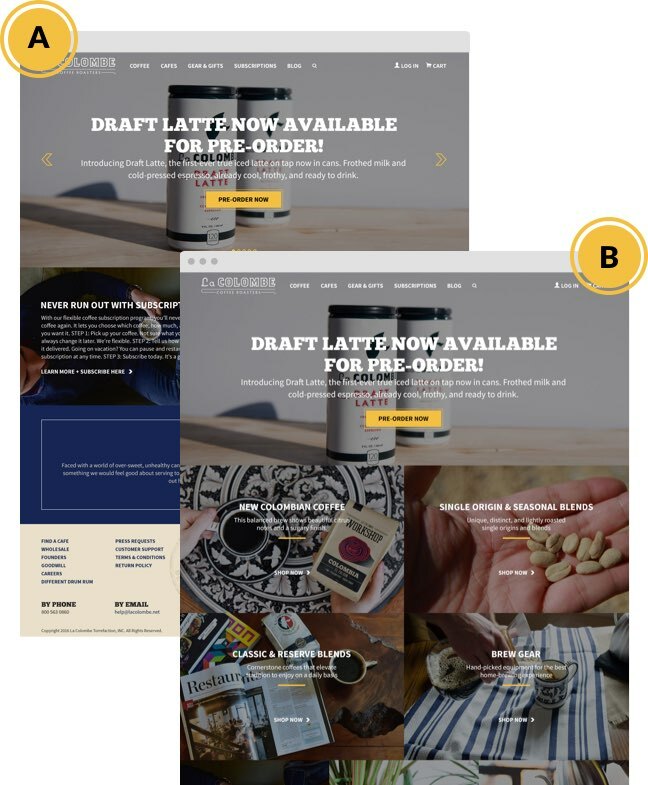 When combined with extensive user experience research and testing, we’re able to refine and enhance the coffee buying experience to make it truly unique and effective. Everyday we walk into La Colombe we see the opportunity to streamline the customer experience. How great would it be to have my coffee just waiting for me just at the right time when I walk in? Bluetooth beacons provide a reliable method for communicating someone’s location near or within a space. Providing a promo to a loyal customer through a mobile app that was detected within the space would be great for creating an in-store loyalty program. See our O3 Theme Music project below for an example of how we’re experimenting with this technology.